A man ran an internet piracy scam from his bedroom that put the movie industry at risk of losing £120m, a court has heard. 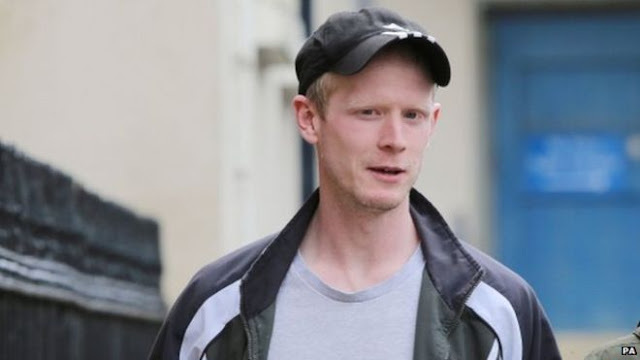 Paul Mahoney, 30, from Carnhill in Londonderry, pleaded guilty earlier this year to a number of offences. These included conspiracy to defraud the film industry. He will be sentenced next month. A pre-sentence hearing was told he made almost £300,000 through advertising revenue generated from illegal sites. These offered access to the latest films and television shows, many before general release. During this period he claimed more than £12,000 in state benefits. Almost £82,400 was also found hidden at the home he shared with his parents, a prosecution lawyer told Londonderry Crown Court. This lawyer added that the money involved in Mr Mahoney's "sophisticated fraud" was "quite staggering". He highlighted how forensic examination of the defendant's computers and internet history had revealed that, in one six-month period, illegal movie copies accessed through his website had been viewed 1.1 million times. The lawyer explained that if this number of views was common-place in the six-year life of defendant's business, then "that equates to something like movies being viewed on 12 million occasions". "If you consider it is about £10 to go to the cinema or about £10 to buy a brand new DVD upon its release, it means the defendant's websites enabled users of it to view about £120m worth of property." The lawyer acknowledged this "fraud risk" figure would be slightly different to actual losses incurred by the film industry as not everyone who viewed something illegally would necessarily have paid to watch it if they had not got it for free. The investigation into Mr Mahoney was led by the Federation Against Copyright Theft (Fact) in conjunction with the Police Service of Northern Ireland (PSNI). Mr Mahoney's defence barrister asked why advertising agencies Mr Mahoney had contracts with had not been prosecuted. "They entered into agreements that if anyone visited the site they would pay, even though from a cursory view of the site it would be apparent this was facilitating criminal offences," he said. The barrister claimed Mr Mahoney stumbled upon the business and rejected the prosecution assertion he was motivated by money. "This enterprise took on a life of its own and became far more successful than this defendant ever envisaged," he added. The lawyer also noted that when the websites started making profit his client signed off state benefits. The judge said he would pass sentence on the case on 8 September.